Paul Landacre was an illustrator who specialized in wood engravings of naturalistic images executed in a sparse, rhythmic, linear style. 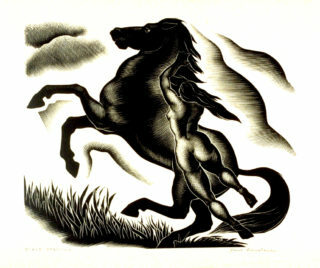 Born in Columbus, Ohio in 1893, he was an athlete as a youth. During his sophomore year at Ohio State University he contracted a life-threatening illness that left him partially disabled. 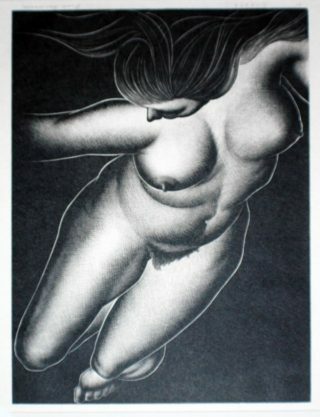 During this same year he also enrolled in a drawing class. 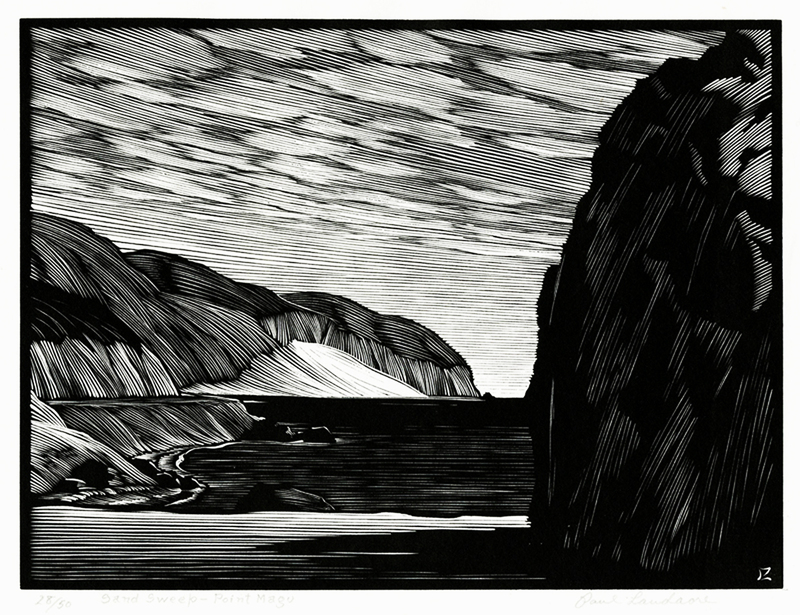 After a long recuperation, Landacre moved with his family to California in 1917. 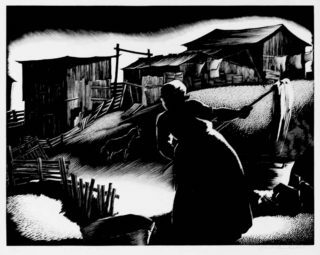 In order to increase his physical strength he took long walks in the nearby rural areas, and on these walks, drew in his sketchbook. By 1918 he found a job as a commercial illustrator. 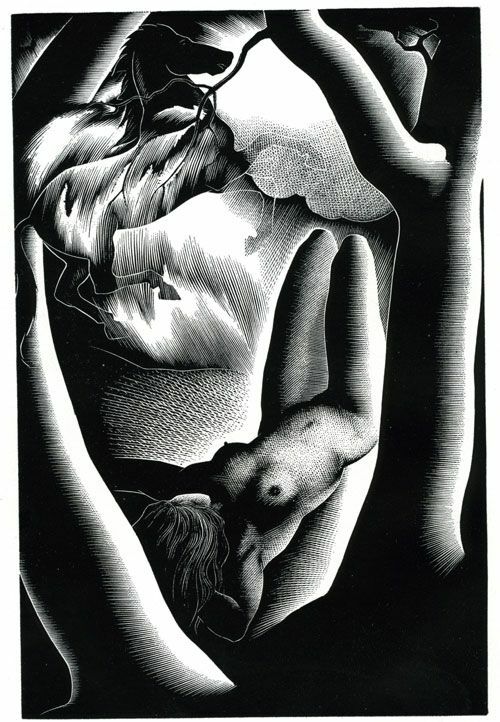 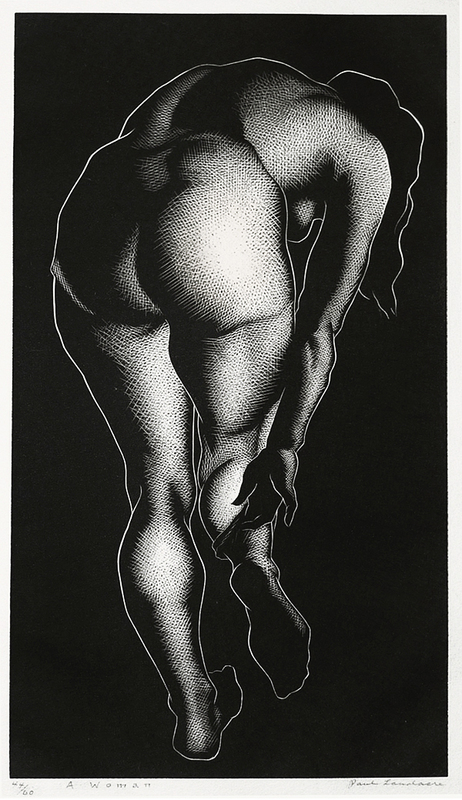 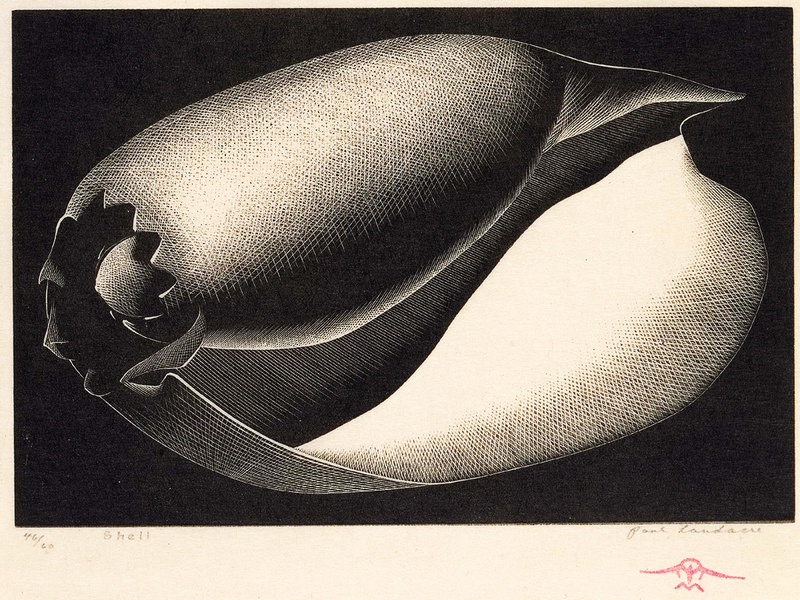 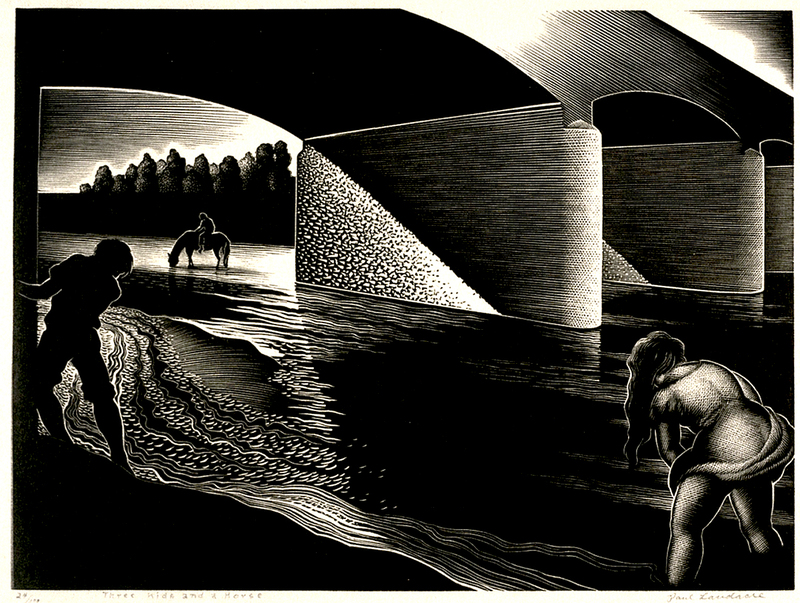 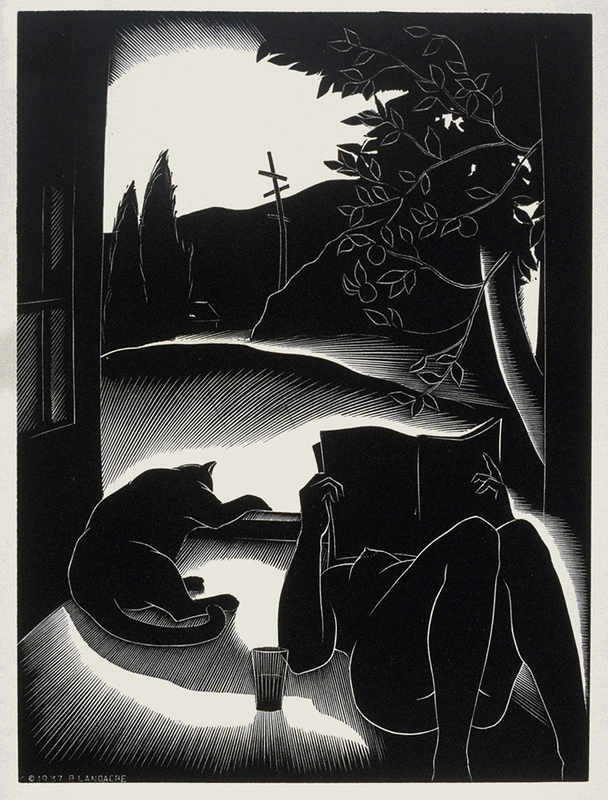 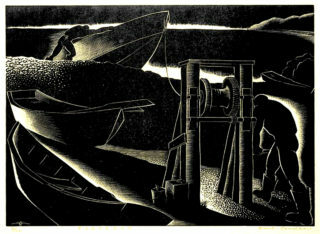 In 1923 he enrolled at the Otis Art Institute, where he studied all types of media, including wood engraving. 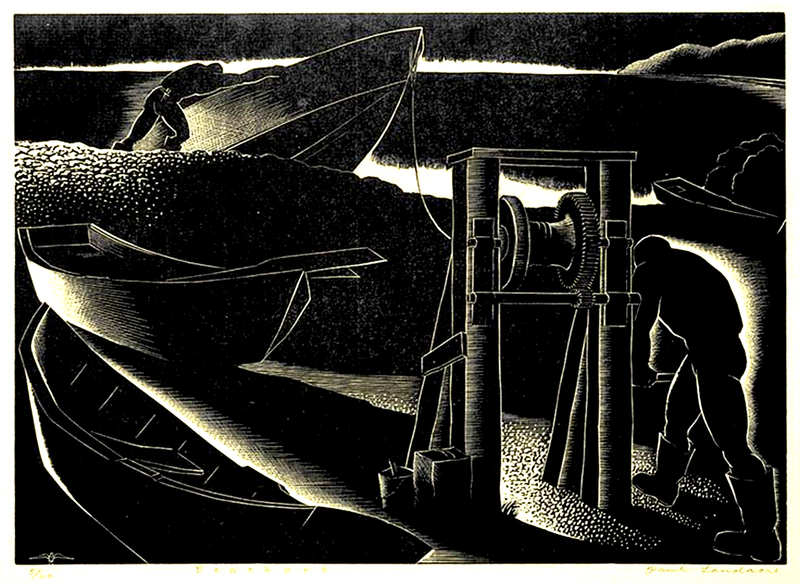 Landacre largely taught himself the art of printmaking. He experimented with the technically demanding art of carving linoleum blocks and, eventually, woodblocks for both wood engravings and woodcuts. 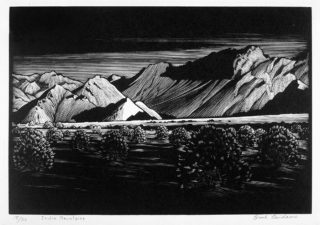 His fascination with printmaking and his ambition to make a place for himself in the world of fine art coalesced in the late 1920s when he met Jake Zeitlin. 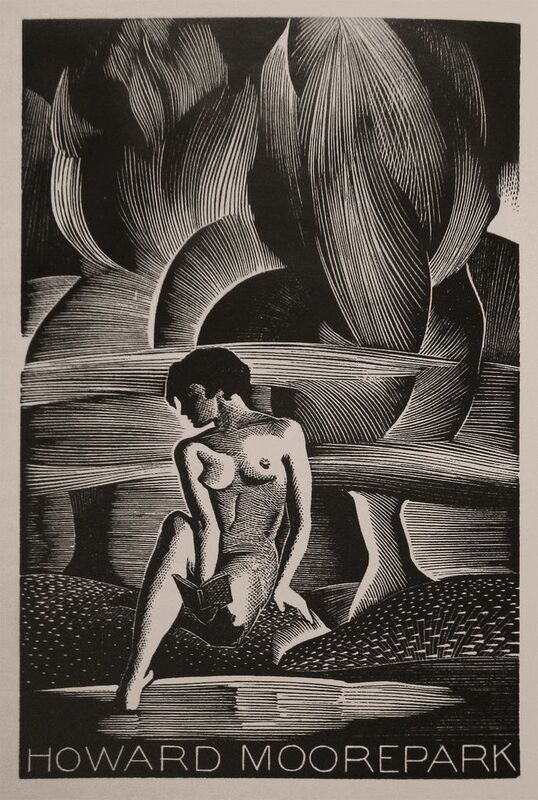 Zeitlin’s antiquarian bookshop in Los Angeles (a cultural hub that survived into the 1980s) included a small gallery space for the showing of artworks, primarily prints and drawings, and it is there in 1930 that Landacre was given his first significant solo exhibition. 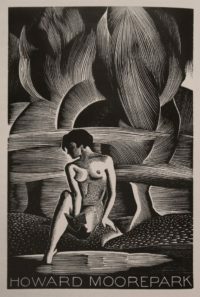 Zeitlin’s ever-widening circle of artists came to include Edward Weston, a photographer who shared the modernist vision that so captivated Landacre. 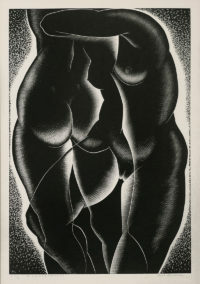 Well-connected to the New York art scene, Zeitlin associated himself with the circle of artists represented by Carl Zigrosser, director of the Weyhe Gallery in Manhattan and, later, curator of prints at the Philadelphia Museum of Art. 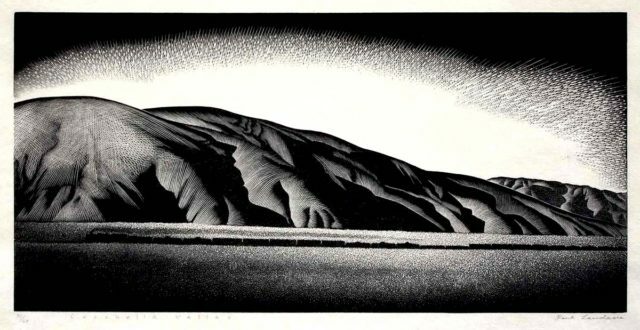 By 1936 Zigrosser considered Landacre to be “one of the few graphic artists worth watching” in America, and included him among his portraits of 24 contemporary American printmakers in his seminal work, “The Artist in America” (Knopf 1942). 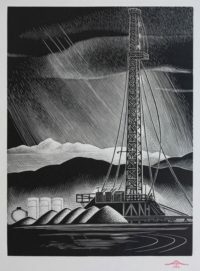 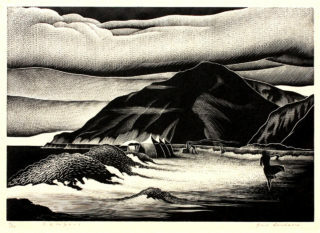 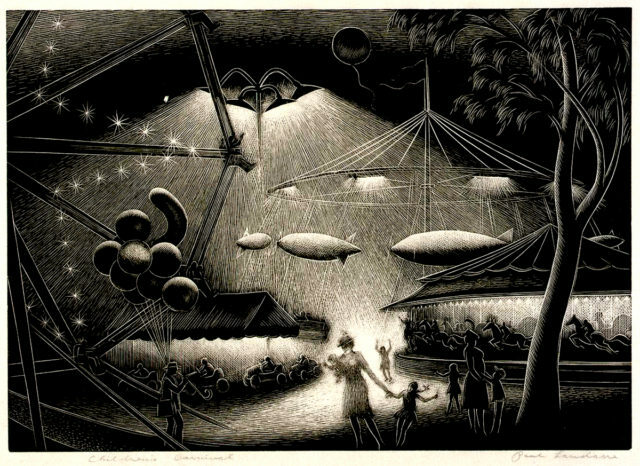 Landacre’s artistic reputation began to emerge in the early 1930s with the publication of his book “California Hills and other Wood Engravings”, a limited-edition folio comprising 15 of Landacre’s early works printed from the original blocks. 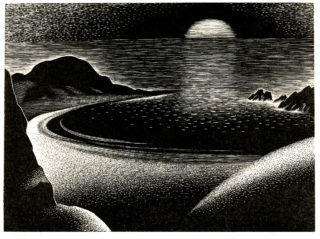 The book was awarded recognition as one of the “Fifty Books of the Year” for 1931 and three more books illustrated with his wood engravings also garnered such recognition in rapid succession. 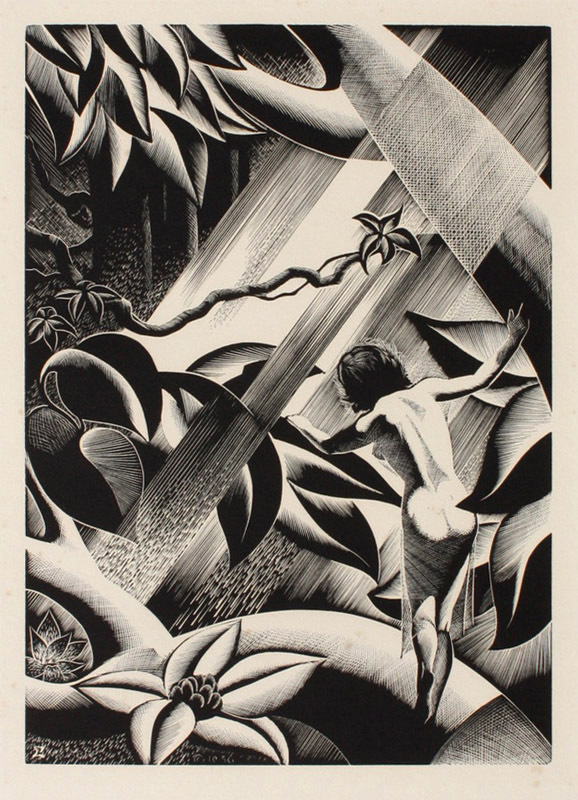 As his artistry evolved, Landacre developed a singular style lauded for its formal beauty—meticulously carved fine lines, delicate cross hatching, and flecking—elements in white which strikingly contrast with richly blackened areas. 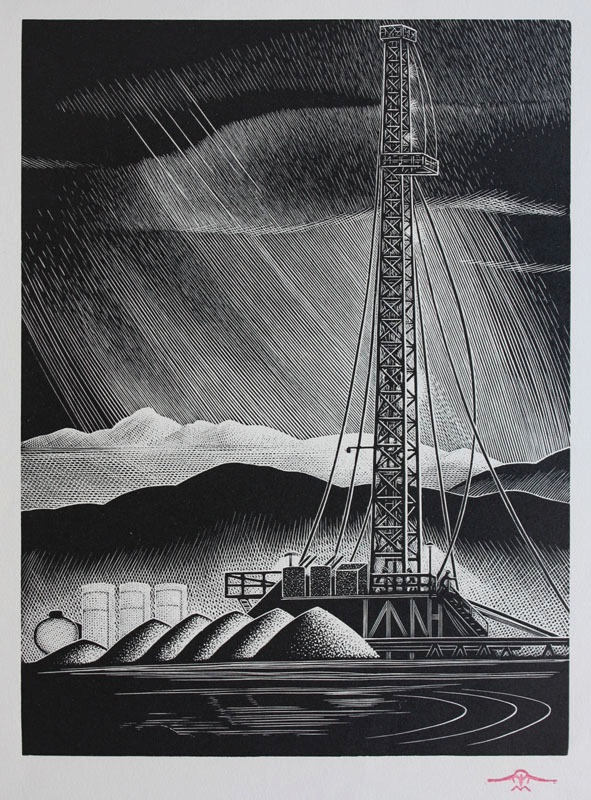 He used the finest inks and Japanese papers and, with few exceptions, printed his wood engravings on a Washington hand press—now in the collection of the International Printing Museum in Carson, California. 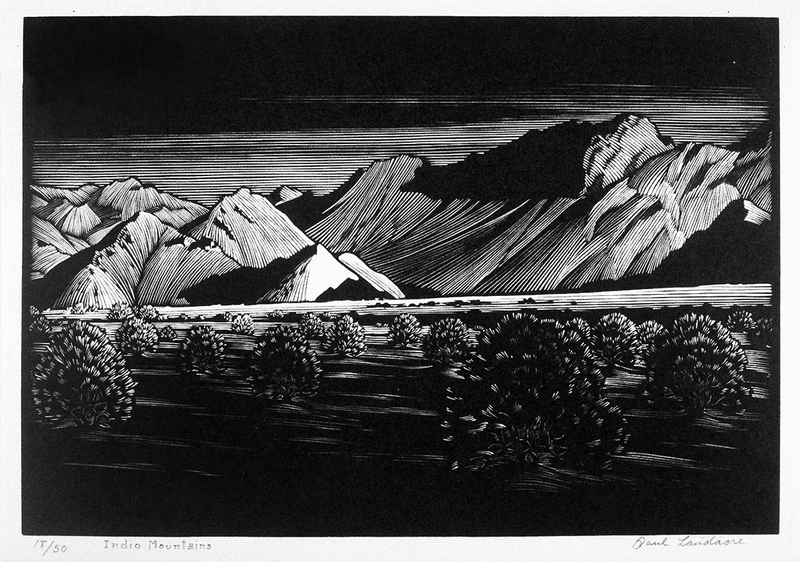 His prints, including the early linocuts, gained early and lasting critical recognition, were awarded numerous prizes, and can be found in more than a hundred and fifty public collections throughout the United States. 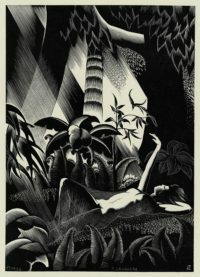 He received many commissions for book illustrations; since he worked in a careful, deliberate manner, his large projects required years to complete. For thirty-one years the artist maintained a hand press in his home, allowing him to have total control over the printing of his designs. 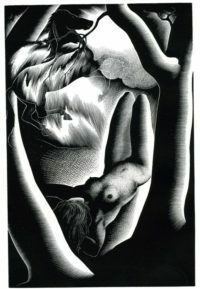 In 1939 he was made an associate of the National Academy of Design, and was elected a member of the National Academy in 1946. 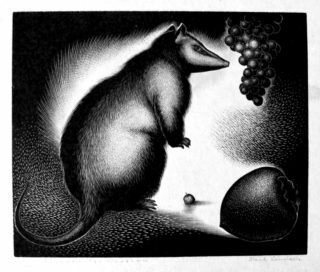 Landacre was honored in 1947 with a solo exhibition of his wood engravings at the Smithsonian Museum, its graphic arts division under the curatorial leadership of Jacob Kainen. The remainder of Landacre’s professional career was balanced between teaching and illustrating books. 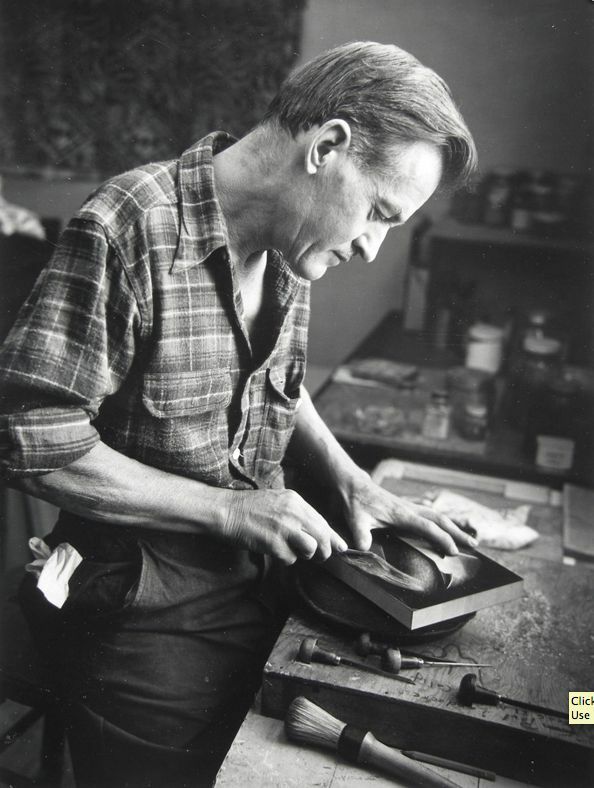 Paul Landacre died in 1963 soon after—and emotionally resulting from—the death of his wife who had been an essential working companion for 38 years, even helping the artist late in his life pull impressions from the formidable Washington hand press. 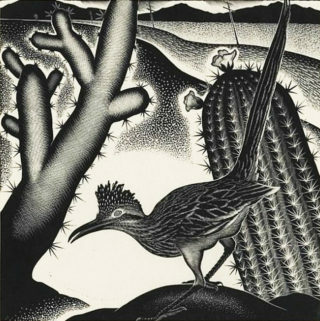 In March 2006, with the growing appreciation of Landacre’s artistic significance, their hillside home was declared a City of Los Angeles landmark (Historic Cultural Monument No. 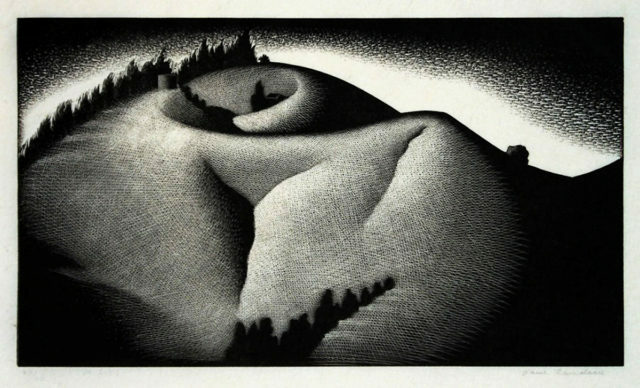 839).